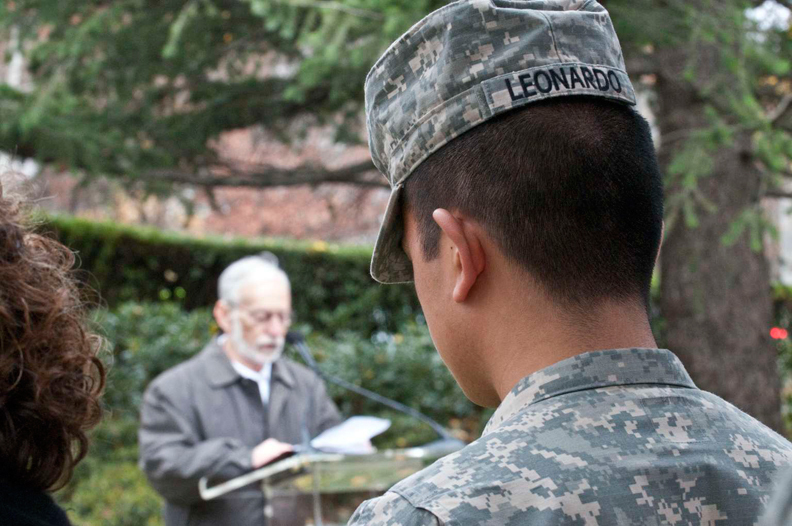 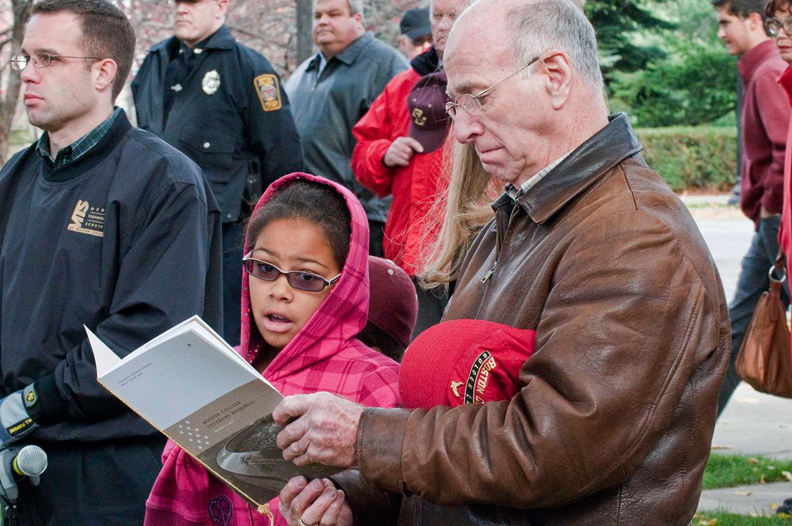 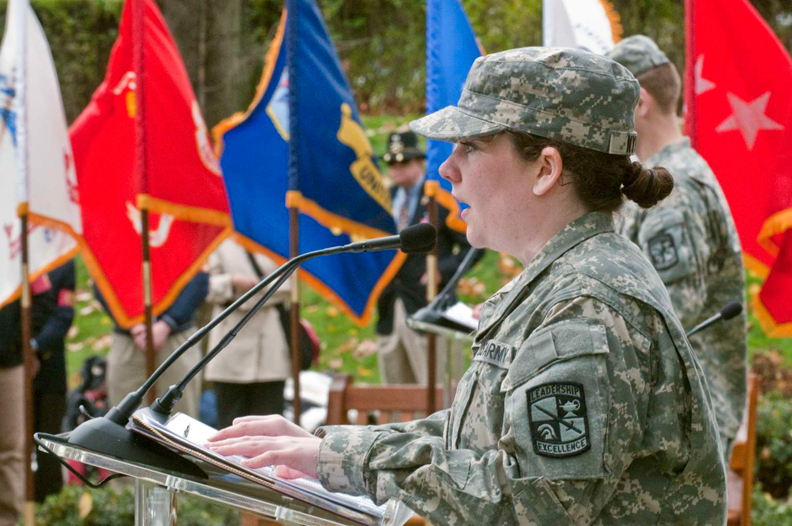 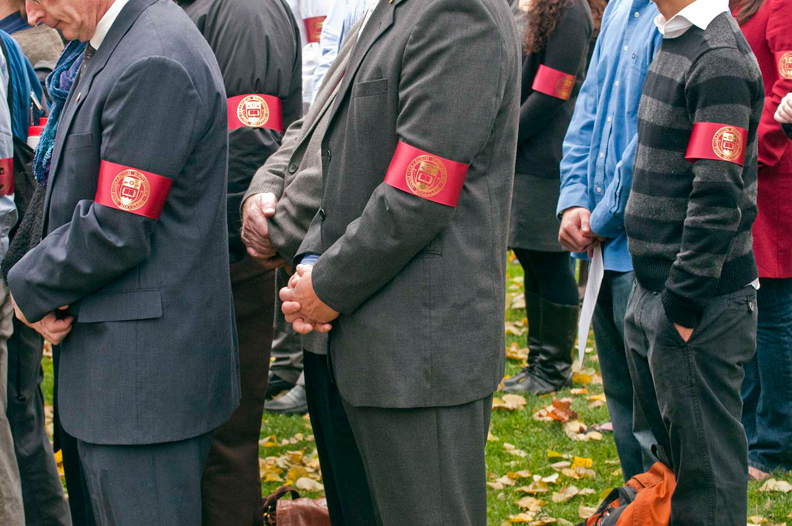 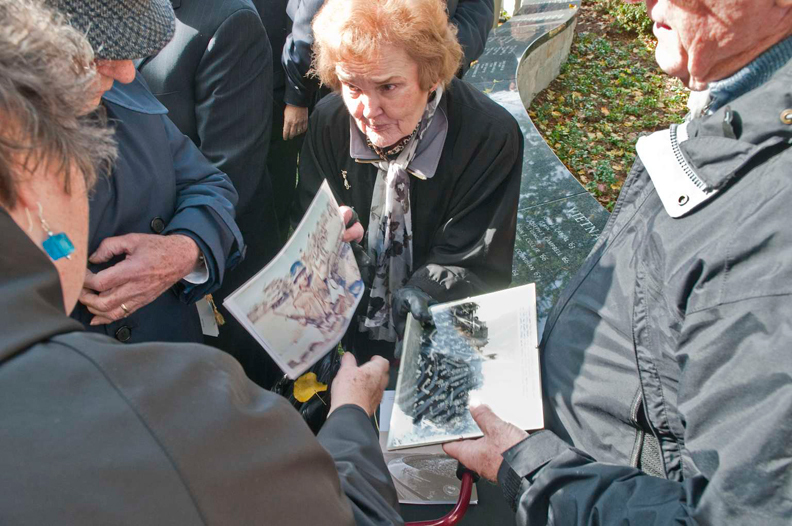 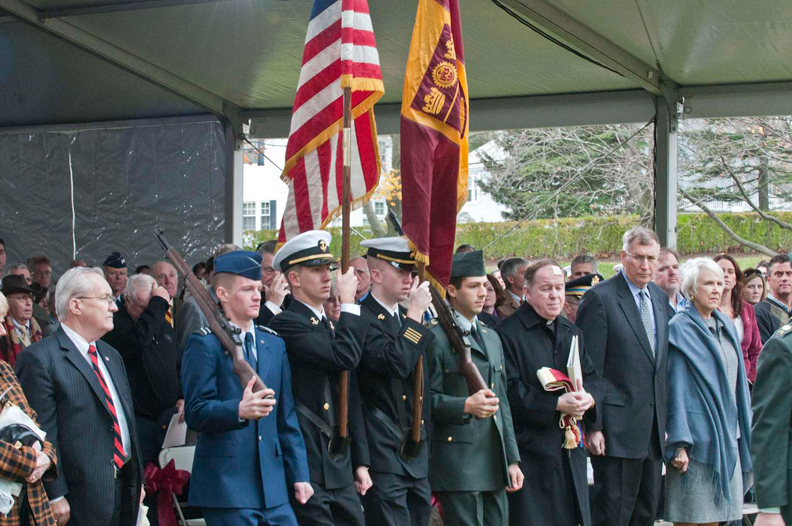 On November 11, following a Veterans Day Memorial Mass at St. Ignatius Church, some 850 members of the University community gathered at the north end of the Burns Library Lawn for the dedication of Boston College’s memorial to alumni who have died in the line of duty in U.S military conflicts since World War I. 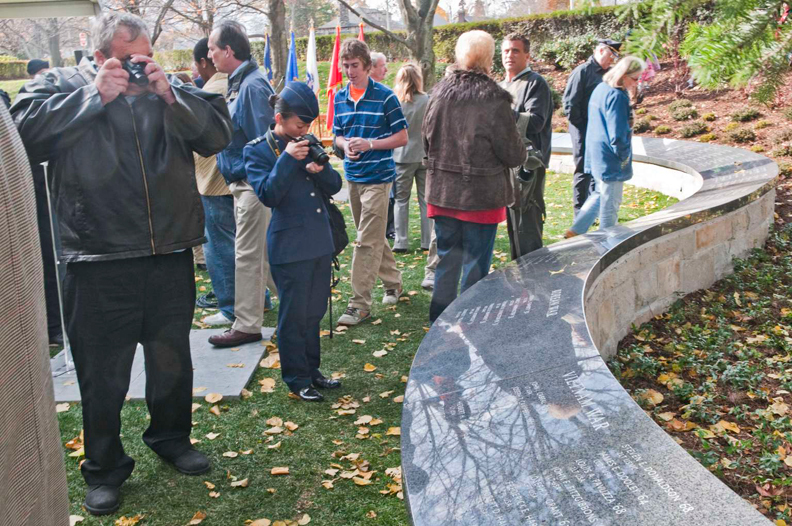 The 70-foot-long, two-foot-high serpentine wall of rough-cut granite blocks, capped with polished granite panels, bears 209 names. 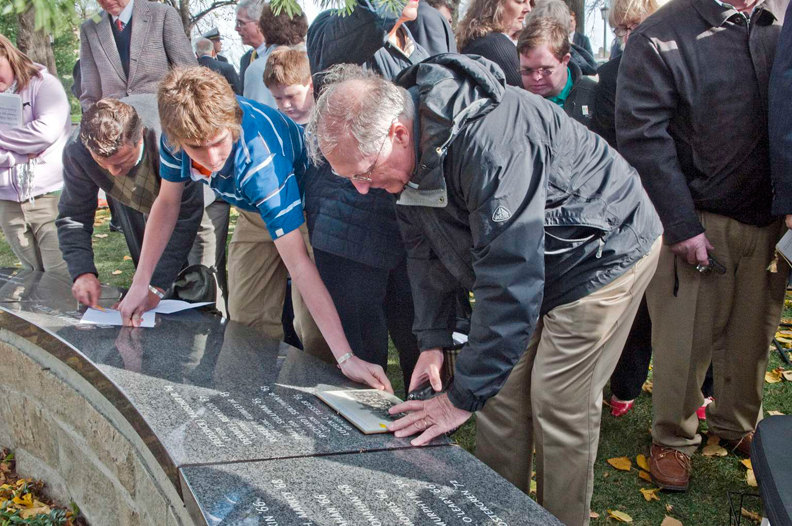 These include 15 from World War I, 158 from World War II, 6 from the Korean War, 29 from the Vietnam War, and 1 from the conflict in Afghanistan. 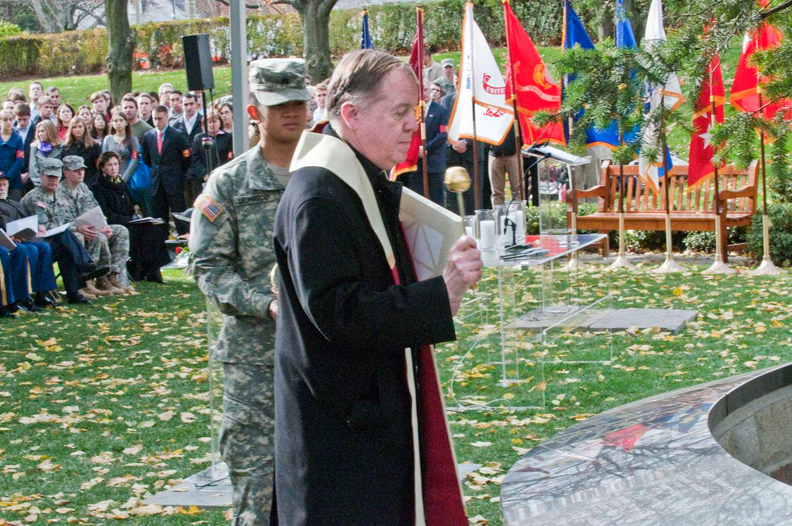 @BC presents a slideshow of photographs taken at the dedication. 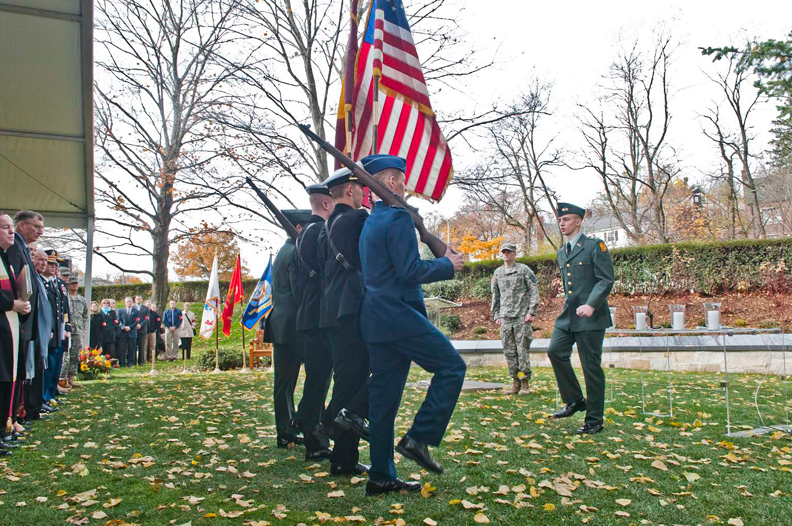 To view videos of the ceremony or to visit the University’s website containing a database of the honored veterans and other information about alumni participation in military conflicts, click on the related links on the right-hand side of this page. 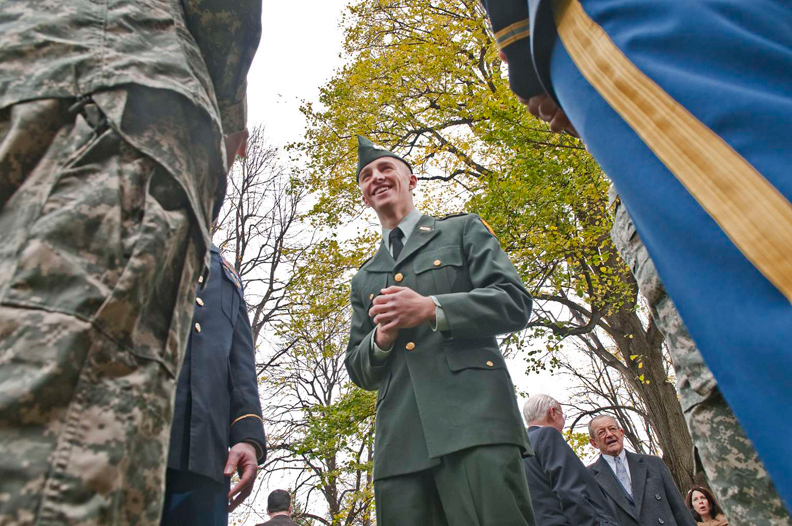 This feature was posted on Friday, November 13, 2009 and is filed under Slideshows.